If you’re thinking of replacing your toilet, it’s worth spending some time researching your options – you’re stuck with it for 10 years or so, after all, so let’s make it a wise decision! The toilet has come a long way, and today there are a wide range of styles and features available, so digging a little deeper will ensure you get the best model for your needs. Here are some basic things you should consider before you buy. Toilets account for one third of your household water consumption – but that doesn’t mean you should flush only sometimes to cut back on your water bill, no siree! New technologies and innovative product design make it easier than ever to be eco-friendly in the bathroom. Reece Bathroom Business Manager, Daniela Santilli, encourages homeowners to check the WELS (Water Efficiency Labelling and Standards) rating of toilets when shopping around. It’s simple: the higher the star rating, the more water efficient the product. “A four-star WELS rating can save up to 50,808 litres of water per year,” she says. In addition to being kinder to the environment, a water-efficient model will help you save on your water bill, so investing in a high star rating toilet now is a wise move with long-term benefits. The label on which you find these star ratings also contains information such as water consumption per use (in litres) for a full, half and average flush, so take a closer look and compare models. Does it suit the space? When it comes to toilets, size does matter. The type of bathroom you have will dictate the type of toilet you buy, its size, and mounting style. 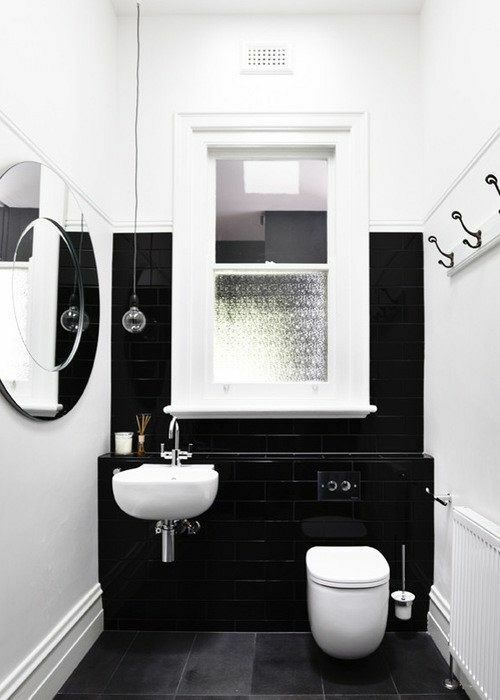 If you have a small bathroom, you can maximise the space with a wall-hung toilet and in-wall cistern. Santilli says these types of models have seen some of the biggest growth in bathrooms because they create a seamless and modern finish while freeing up floor space. “Because most in-wall cisterns and wall flush buttons can be integrated with any choice of toilet pan, this option also grants you much greater flexibility in terms of personalising your bathroom space,” she says. While you might have to fork out a bit more money, it’s worth opting for a toilet in a high-quality material, such as vitreous china (porcelain), instead of plastic or even steel, which can be unkind in the winter (cold bottoms, anyone?) We’ve been making toilets from porcelain for centuries and for good reason: it’s easy to clean, sanitary (it stops bacteria at the toilet’s surface, unlike porous materials), and, most importantly, is extremely sturdy. Also check the warranty. Try finding a model with a limited lifetime warranty, should anything go wrong. Less nooks and crannies will make cleaning a lot easier – and let’s face it, the toilet is one place you want to spend as little time as possible with a washcloth. One-piece or wall-mounted toilets are easy to wipe clean and mop under, and will gather less dust. Some toilets also have concealed trapways, which are more visually appealing, as well as easier to clean. Do you need a professional to install the toilet? There are numerous things to contend with when installing a toilet, which Kokotovich says would be challenging for any DIYer. If something goes wrong, your home insurance may not cover you either, because you didn’t use a qualified plumber. Santilli recommends always using a licensed plumber when installing bathroom products, to save yourself the stress. “Doing it on your own will void the product warranties and can cause you a lot of trouble down the track,” she says.